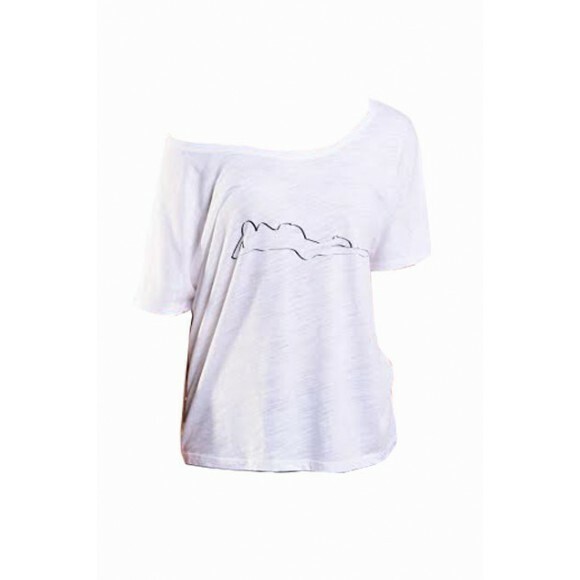 Simple yet complex, this tee speaks to the strength and beauty that women represent. A luxuriously soft fabric blend drapes perfectly over the body in a perfect slouchy fit. Wide neckline can easily be pulled off the shoulder for a sassy look.